Windy Day Quilt Pattern by Sweet Jane's SJ100. Features Nest Fabric by Lella Boutique. 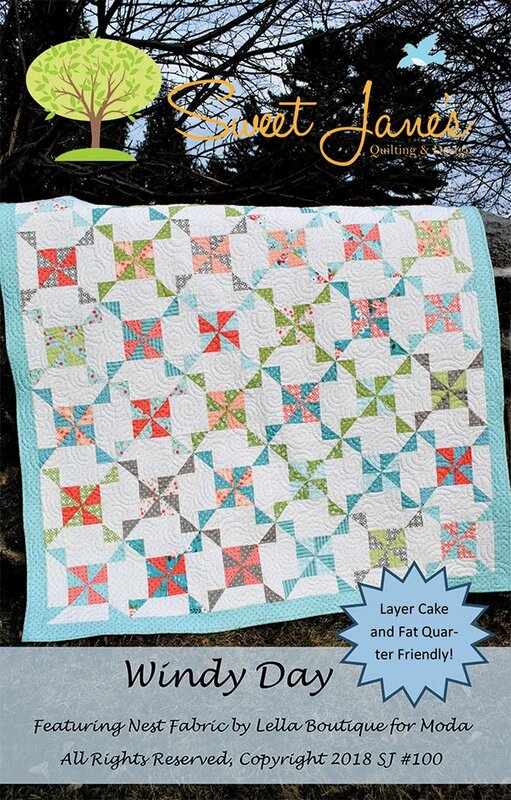 Multiple Quilt Sizes from Baby size to King size. Layer Cake friendly.